&quot;Las Vegas Studio: Images from the Archives of Robert Venturi and Denise Scott Brown,&quot; Graham Foundation, through Feb 19. Worldwide icon-chevron-right North America icon-chevron-right United States icon-chevron-right Illinois icon-chevron-right Chicago icon-chevron-right "Las Vegas Studio: Images from the Archives of Robert Venturi and Denise Scott Brown," Graham Foundation, through Feb 19. "Las Vegas Studio: Images from the Archives of Robert Venturi and Denise Scott Brown," Graham Foundation, through Feb 19. Stardust Hotel and Casino, Las Vegas, 1968. � Venturi, Scott Brown and Associates, Inc., Philadelphia. 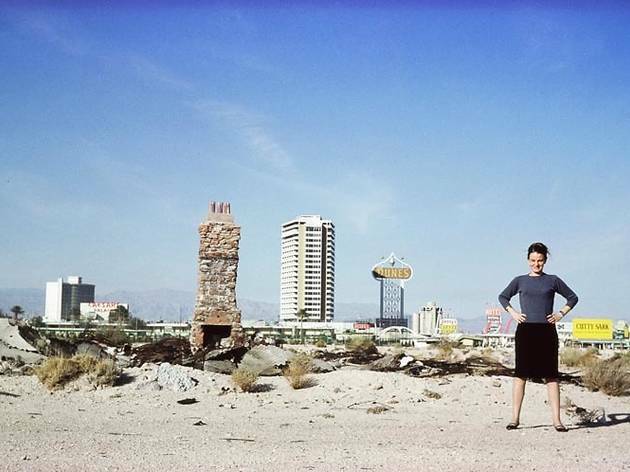 Robert Venturi and Denise Scott Brown in Las Vegas, 1966. � Venturi, Scott Brown and Associates, Inc., Philadelphia. 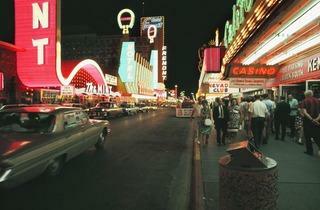 Fremont Street, Las Vegas, 1968. � Venturi, Scott Brown and Associates, Inc., Philadelphia. 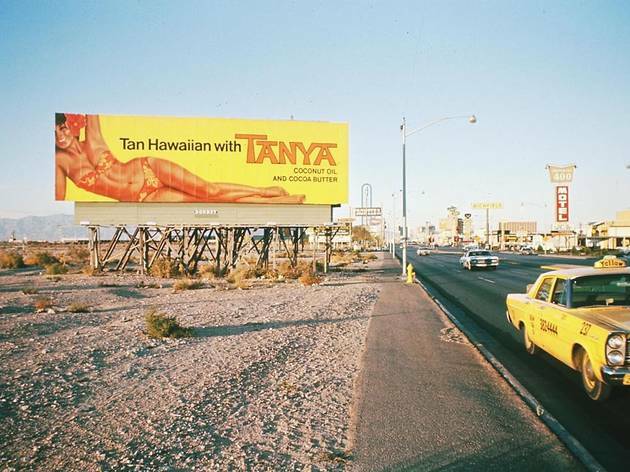 Tanya-Billboard on the Strip, Las Vegas, 1968. � Venturi, Scott Brown and Associates, Inc., Philadelphia. 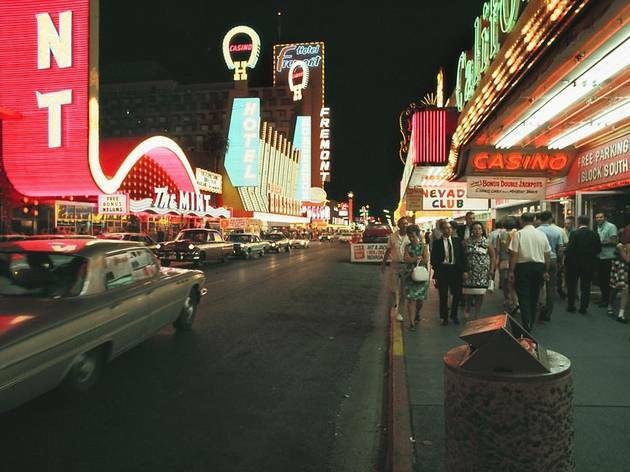 Fremont Street neon signs, Las Vegas, 1968. � Venturi, Scott Brown and Associates, Inc., Philadelphia. 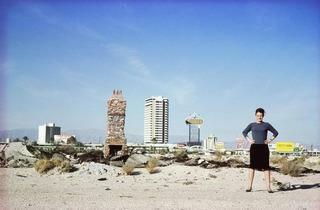 The Strip seen from the desert, with Denise Scott Brown in the foreground, 1966. 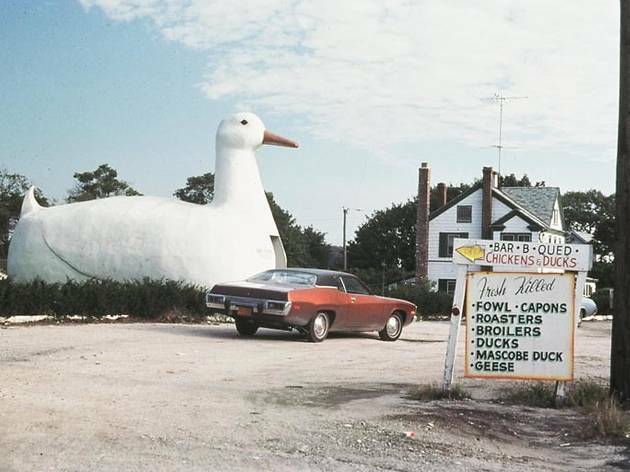 Photograph: Robert Venturi. � Venturi, Scott Brown and Associates, Inc., Philadelphia. 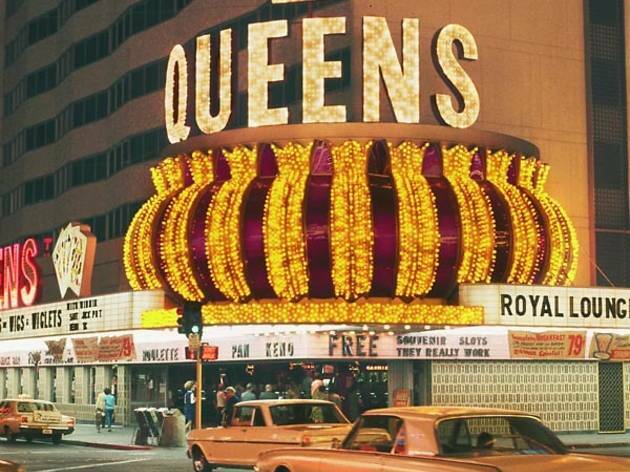 Four Queens Casino, Las Vegas, 1968. � Venturi, Scott Brown and Associates, Inc., Philadelphia. 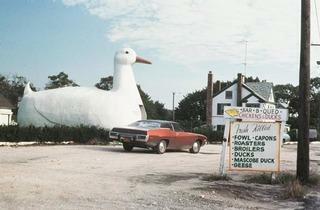 "The Big Duck", shop in the shape of a duck on the highway on Long Island, Flanders, New York, 1970. � Venturi, Scott Brown and Associates, Inc., Philadelphia. In 1966, architect Robert Venturi shocked his profession by declaring, “Less is a bore.” That jolt to Miesian modernism was nothing compared to the publication of Learning from Las Vegas in 1972. 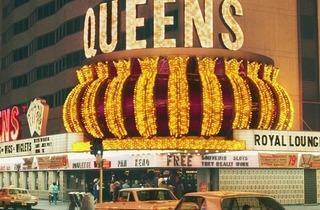 Learning from Las Vegas grew out of a studio that its three authors taught at Yale in 1968. “Las Vegas Studio” brings together dozens of photos and five films that the architects and their 13 students made during a ten-day trip to the desert city. A few of Scott Brown’s earlier snapshots—studying Vegas was her idea—along with early 1970s pics, mock-ups of Learning from Las Vegas and several translated editions round out the exhibition. While some of the photos and charts on display were published in Venturi, Scott Brown and Izenour’s book, many were not, and most visitors won’t have seen the films before. As documents of Las Vegas’s unique character, these works need little explanation. Las Vegas Deadpan (1968), shot by a camera attached to the hood of a Ford, must be one of the oldest examples of the now-clichéd pan down the Strip; Las Vegas Electric (1968) is a mesmerizing homage to the glowing signs of Fremont Street casinos. The studio reveals the contrast between the city’s nighttime magic and daytime dowdiness over and over, particularly in its photos of the Stardust (pictured), which put the architects and their students up for free. The surprising amount of humor in “Las Vegas Studio” is one of its strengths. The students’ detailed taxonomy of casinos, which analyzes the buildings’ signage, interiors, parking and other features, identifies the Tropicana’s style as “Bauhaus Hawaiian.” Photos capture tourists posing with the gladiator statues outside Caesar’s Palace as well as Tail Pup, a Los Angeles hot-dog stand shaped like…a hot dog. An “Edward Ruscha” elevation of the Strip (1968) comes off as a tongue-in-cheek reference to artist Ruscha’s famous 1966 photo documentation Every Building on the Sunset Strip. Venturi, Scott Brown and Izenour’s embrace of vernacular design and iconography helped usher in postmodernist architecture. It sucked. Still, “Las Vegas Studio” suggests more architects (and architecture exhibitions) could stand to lighten up—and look at the world as it is.